forms part of the development. Cbus Property is developing the park which will then be handed back to City of Melbourne for public use and management. 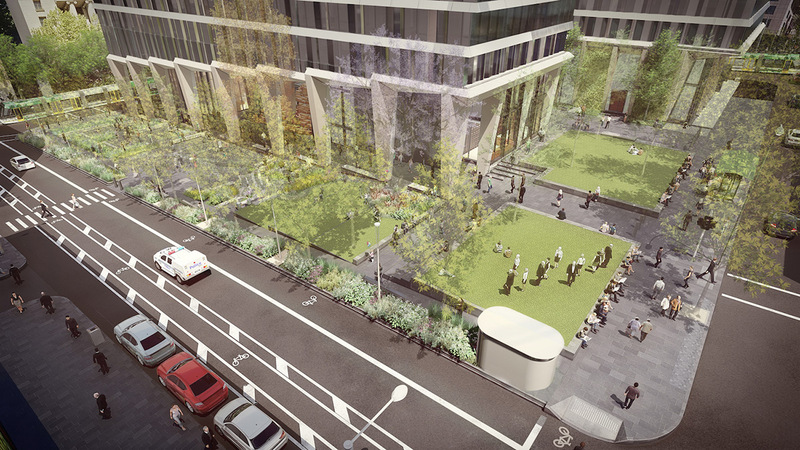 the block will be nearly 30 per cent larger than the previous National Mutual building forecourt. Designed landscape architects Oculus, in collaboration with a Project Steering Committee, which includes Council and Cbus Property representatives, the park will comprise a collection of unique public spaces, as well as wide bluestone paths to accommodate more pedestrians, new seating, space for programmed events and improved pedestrian access to public transport. 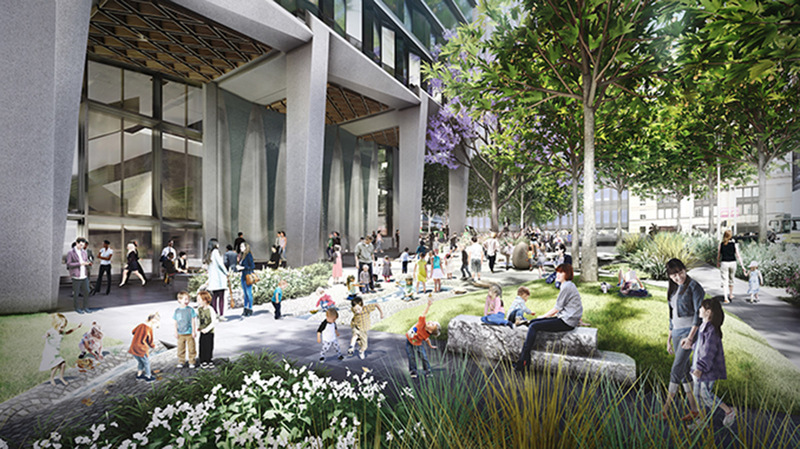 A playful landscape, featuring sensory integrated elements, has been incorporated into the park design to encourage imaginative nature-based play for younger children and their carers in the city. 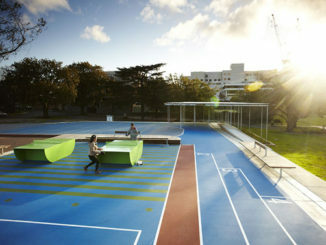 “This landscape architecturally designed park is an important addition to Melbourne’s CBD. 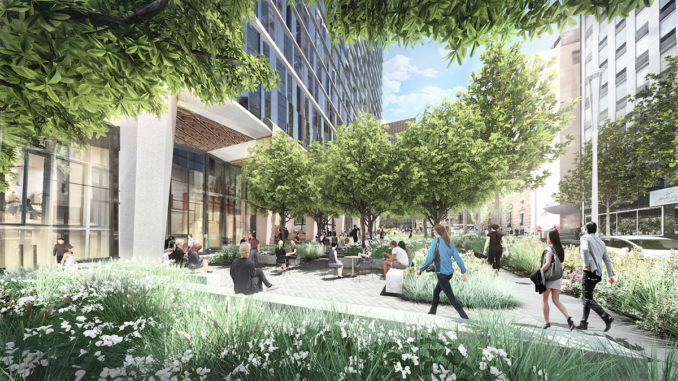 The introduction of an open green space will help to extend the urban forest for public enjoyment. The park design is distinctly Melbourne, drawing on the materiality and history of the surrounding CBD streets and heritage buildings, incorporating elements of bluestone and sandstone.” says Claire Martin, Associate Director of Oculus.